Hatchets are small axes which can be used with one hand instead of the big two hands requiring axes. 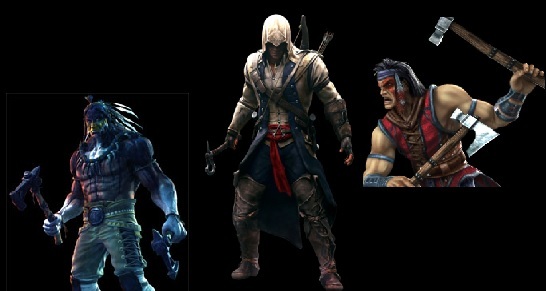 They are often used in video games for Native American characters, Connor Kenway, from Assassin’s Creed, Chief Thunder from Killer Instinct and Nightwolf from Mortal Kombat are representative characters who are using these type of weapons. Axe type weapons come in many sizes in video games, some of the largest are worn by characters like Astaroth from SoulCalibur.